Coming December 2011 - Allie Grainger is back, and she’s in deep trouble...again. Sheriff Cord Arbutten's wife is dead, an apparent suicide, but his grown son claims she was murdered--by the Sheriff. When it comes to light that she was killed with the Sheriff's old service revolver right in the middle of a nasty divorce, the Governor suggests that Cord think about stepping down. Suddenly, the Sheriff is faced with losing everything, possibly including his freedom. Investigative reporter Allie Grainger gets involved when her best friend Sheryl, a Sheriff's Deputy, begs her to help. Allie barely knows the Sheriff, but she knows that Sheryl greatly respects him and that her deceased aunt, who worked for him for over twenty years, loved him. That's enough for her. Repeated clashes with the son make Allie even more determined to discover the truth. He sets out to block Allie at every turn. When anger doesn't work, he turns on the charm, charm that gets to Allie a lot more than she's willing to admit. Sidney Finch, a Sheriff's Deputy who idolizes the Sheriff, doesn't use charm to impede her investigation. He uses naked threats. Allie has to ask herself who he's trying to protect—the Sheriff or himself? She isn't sure how far Sidney will go to stop her, but since he has a hair-trigger temper and carries a gun, she absolutely doesn't want to find out. Then the son agrees to work with Allie instead of against her. She isn't certain of his motives, but she'll take any help she can get. With her dead aunt whispering encouragement in her ear and Sheryl egging her on, Allie sets out to discover what really happened the day Jean Arbutten died. Although Lynda Fitzgerald now lives in Atlanta, Georgia, she was born and raised in central Florida. She studied creative writing at both Georgia Perimeter College, where she was awarded a Creative Writing Scholarship, and at Emory University. Her debut novel, If Truth Be Told, set in east central Florida, was released by Five Star/ThomsonGale in June, 2007. Another of her novels, Of Words and Music, was released in 2008, and her first mystery series, LIVE Ringer, also set on the Space Coast of Florida, hit the book shelves in April 2010. The second in the series, LIVE Ammo, continues the saga of Allie Grainger, reluctant investigative reporter, and her cowardly Lhasa Apso, Spook. Even though Lynda now lives miles from any ocean, her heart and soul remain firmly planted in Brevard County, Florida, and she returns there three or four times every year for spot of fresh inspiration. 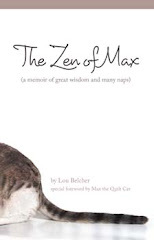 For more about Lynda and her books, visit her website at www.fitzgeraldwrites.com. Wow! 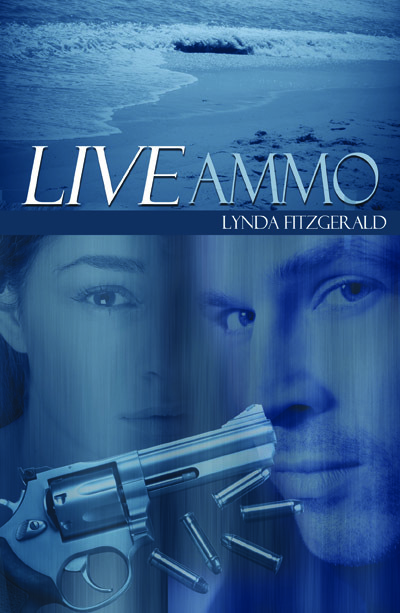 I can't wait to read Live Ammo. I loved Live Ringer and shed tears over the father's plight in If Truth Be Told. Lynda Fitzgerald knows how to tell a story. I am so looking forward to the next LIVE installment! Lynda's writing is captivating - always keeping me engaged, in suspense and entertained! I can't wait for Lynda's next book! There is no question she has a talent for crafting a suspenseful tale full of eclectic characters who love nothing more than solving a good mystery. I loved LIVE Ringer. 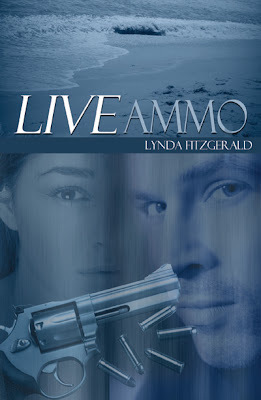 Can't wait to read LIVE Ammo. Fitzgerald's characters practically walk off the pages, they seem so real.